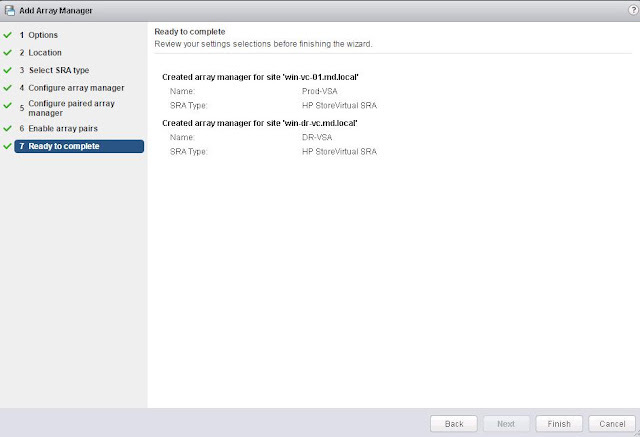 First step after the Site Recovery Manager installation is pairing the SRM Protected and Recovery sites. This process is called as Site Pairing. 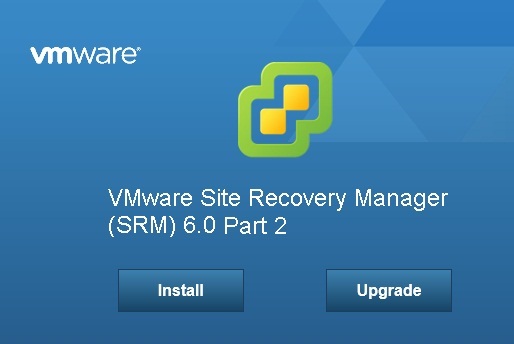 Once site pairing is completed, you will be able to see both the 2 SRM sites start appearing under site recovery plug-in in vSphere web client. Site pairing can be done either at the protected site or the recovery site. SRM site pairing is a straight forward and simple procedure. This article will walk you through step by step procedure to configure SRM site pairing. 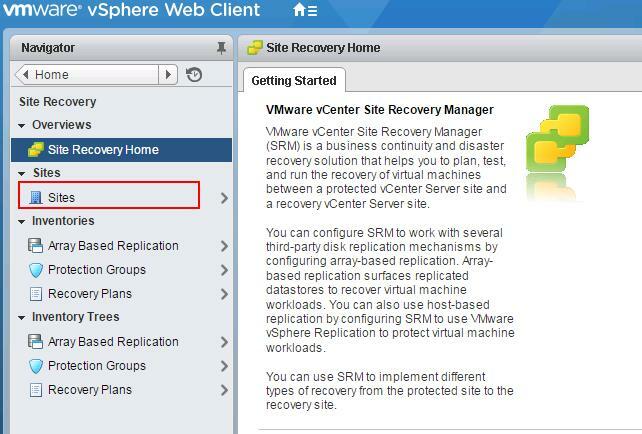 Login to your Protected Site vCenter server using vSphere web client and click on “Site Recovery” Plug-in in the home page. Select Sites. Under Sites, You will be able to see the Protected Site name. Click on Summary Tab and Click on “Pair Sites” under Guide to Configure SRM. 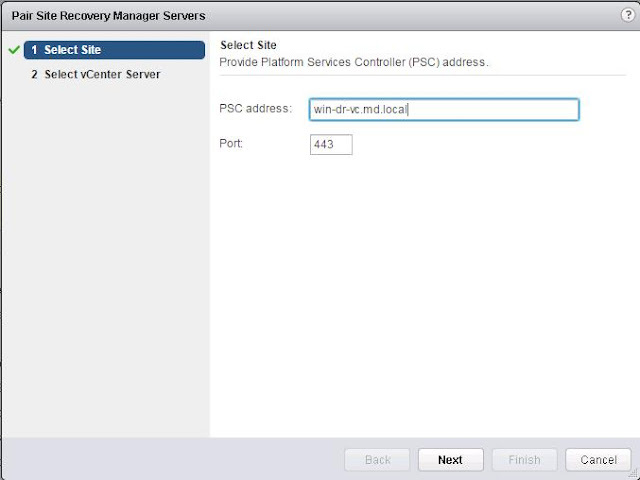 Provide the Platform service controller address of your SRM remote site (recovery site).The address that you provide for the Platform Services Controller must be an exact match of the of address that you provided when you installed Site Recovery Manager Server on the remote site. Leave the Port number as default ,if you dont have any custom port for PSC. Click Next. This page displays the vCenter Server instance in which Site Recovery Manager Server is registered on the remote site. 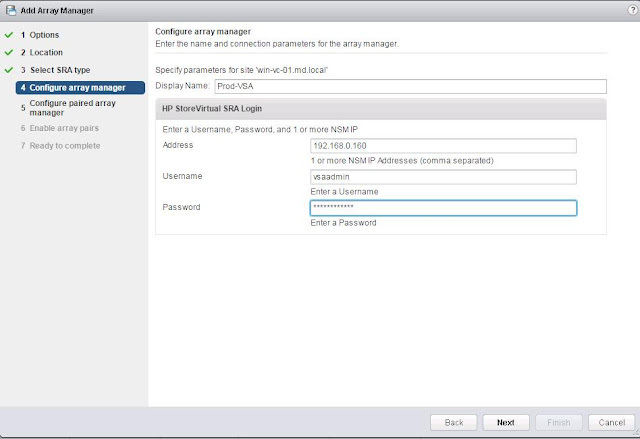 Enter the vCenter server Single sign-on (SSO) credentials and click on Finish. The connection process proceeds automatically after authentication with the correct privileges established. Once site Pairing is established between protected and recovery site. You will be able to see the remote site appears under Sites in the Site Recovery Manager interface. It displays the information about the primary site and Paired site. 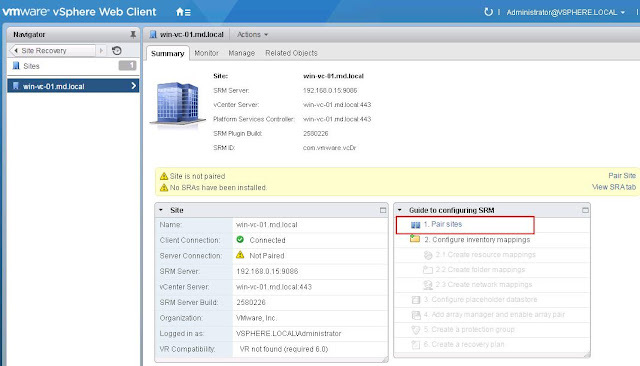 You will be able to see the same information even if you connect to the remote site vCenter server using vSphere Web client. Whereas it displays the paired site as your primary site. We have completed Site Recovery Manager site pairing. Storage Replication Adapters (SRA) is a program provided by a storage array vendor that enables vCenter Site Recovery Manager to work with the vendors array. An SRA is used by an array manager, a vCenter Site Recovery Manager component that helps to identify available arrays and replicated LUNs. 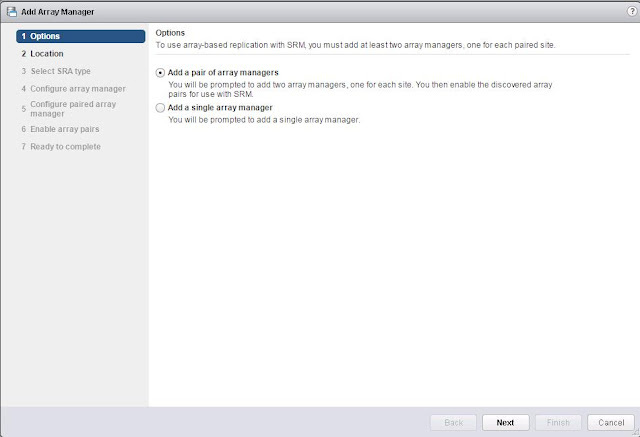 Once you have paired the Protected site and recovery site, You must configure an SRM array manager for array based replication. 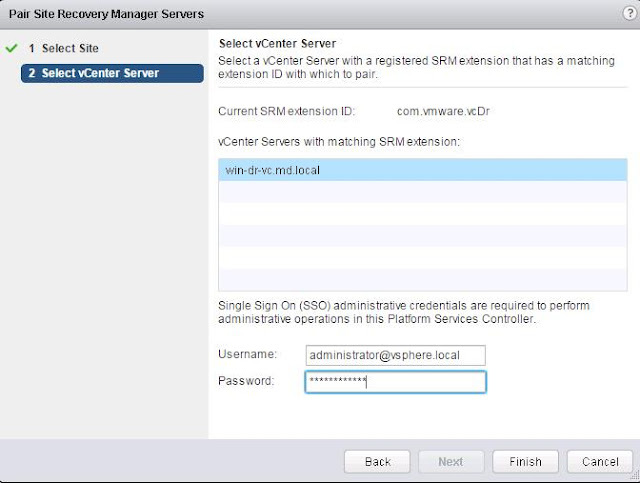 Configuring Array manager is not required if you have used VMware’s native replication “vSphere Replication”. An array manager uses a storage replication adapter (SRA). An SRA communicates with an array manager over a communication port that is defined by the storage vendor. 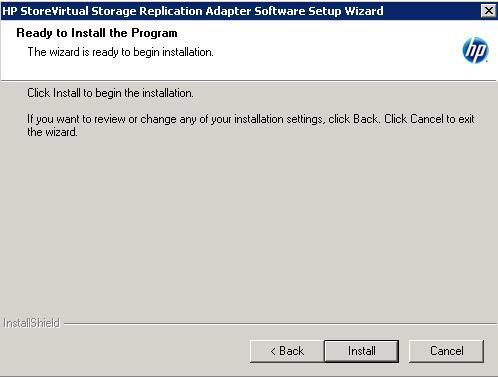 You must download and install the suitable Storage replication adapter for your storage array. SRA should be installed on the same server where VMware SRM is installed. 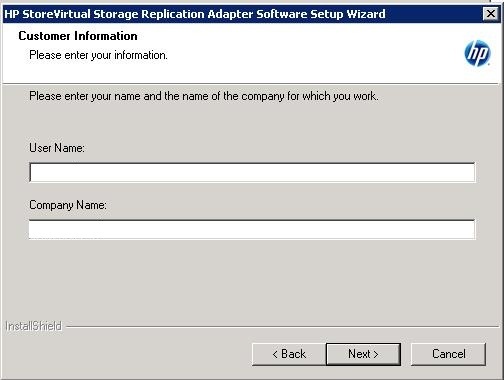 You can download the Storage Replication Adapters for your VMware SRM in the list. Download the suitable SRA software for your storage vendor and model. Double-click SRA installer to begin the installation. I will be installing SRA adapter on my Protected site first. SRA should be installed on the server, where SRM is installed. 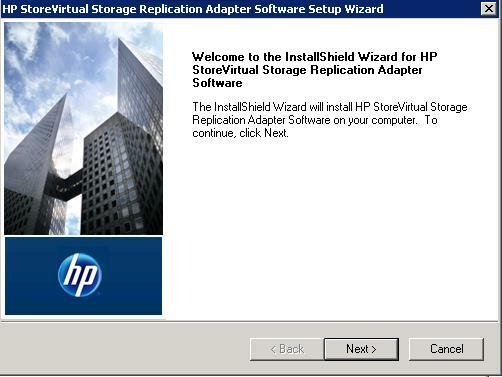 Click on Next to begin the HP StoreVirtual Storage Replication Adapter software. 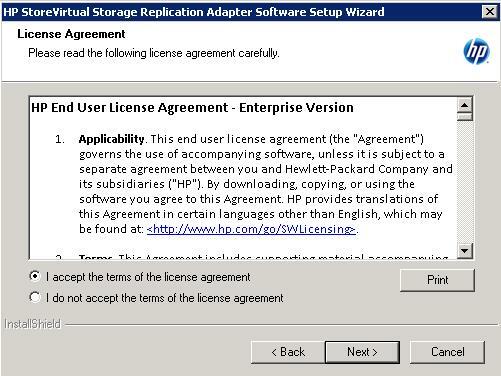 Accept the End-User License agreement and click on Next. Provide the Username and Company name for the SRA installer and click on Next. Click on Install to begin the SRA installation. Once installation is completed, click on Finish to close the installation wizard. 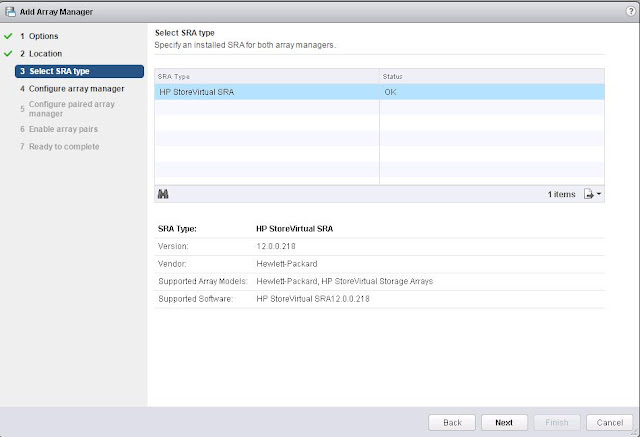 We are done with the installation of HP StoreVirtual SRA on the Protected site. You can see the status of the SRA installation from the vSphere Web client. My primary site detected the SRA installation and it showing error about the SRA at the paired site i.e recovery site. Follow the same SRA installation procedure on your DR site (recovery site) SRM server. Once both the protected and recovery site are installed with Storage Replication Adapters, You will notice the Green Check Mark in the status of SRAs. 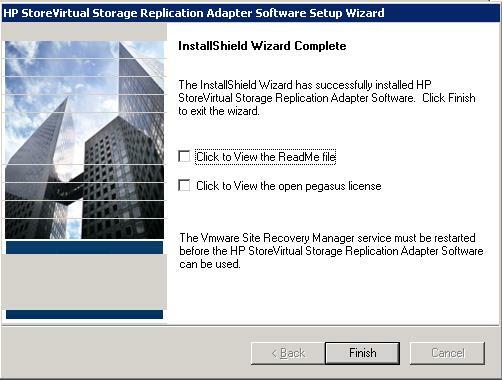 We have completed the installation of Storage Replication Adapter (SRA) on both Protected and recovery site. During the Array Manager configuration, you need to specify the information about the storage array that you want to use. 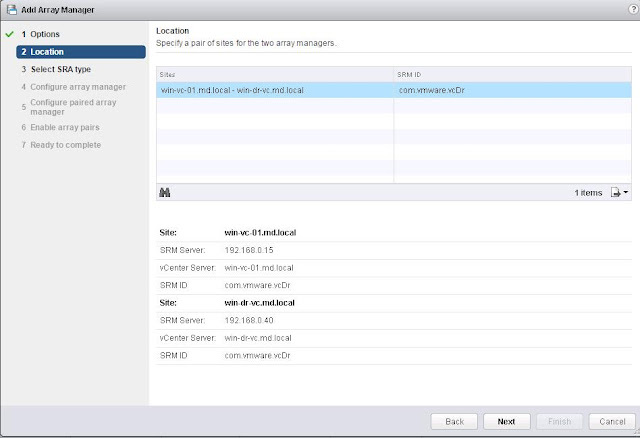 VMware site recovery manager uses this information to discover the array available to SRM host and the replicated LUNs for it. Array manager configuration causes VMware SRM to compute datastore groups based on set of replicated storage devices that it discovers. If you are using arrays from multiple vendors, you need to install SRA from each storage vendor on the SRM server. You typically configure array mangers only once. You do not have to reconfigure array managers, unless array manager connection information or credentials change or to use a different set of arrays. 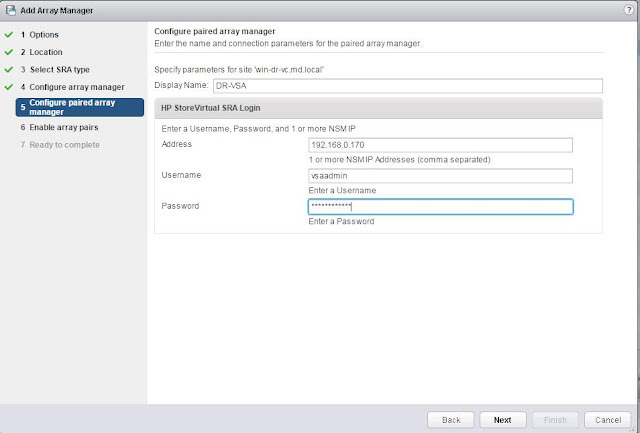 To add an Array Manager, Login to vSphere Web client, Click on SRM and Select the Protected site -> Array Based Replication -> Click on “+” to launch Add Array Manager Wizard. To add array managers for both my Protected and recovery site at one shot, Click on Add a pair of array managers. You will be prompted to add two array managers, one for each site. You then enable the discovered array pairs for use with SRM. Click on Next. Since i have selected add pair of array managers, Select the pair of sites i.e your protected site and recovery site. Verify the displayed site information and click on Next. It automatically detects the type of Storage Replication Adapters (SRAs) installed on both the site and status of SRA. Click on Next. Enter the display name , IP address and credentials for you primary site array manager. In my case, my protected site HP StoreVirtual VSA IP is 192.168.0.160. Click on Next. Enter the display name , IP address and credentials for you recovery site array manager. In my case, my recovery site HP StoreVirtual VSA IP is 192.168.0.170. Click on Next. Select the check box to enable the array pairs and click on Next. Review the specified information for array manager and click on Finish. Once adding array manager task is completed, you will be able to see the both the array managers with status OK under Array based Replication objects. You will be able to monitor the replicated storage information by selecting the array manager and Manage tab-> Array Pairs. It will display the direction of replication either outgoing or incoming replication. From my Production array manager, I have one LUN being replicated to the DR site and direction of the replication is outgoing replication. Below screen is the replication information for my DR array manager, It shows the replication direction as incoming replication. DRvolume1 is getting replication from my Prod-volume. We have completed configuration of SRM array manager. In the part 3 of this article series, we will be creating SRM resource mappings.